Download the full resource for insights and strategies, plus bonus How To Checklists you can use to audit and improve your 3PL operations. Spending in the logistics industry totaled $1.48 trillion in the United States alone in 2015, representing a full 8% of the United States Gross Domestic Product. And experts are predicting even bigger numbers worldwide. The current forecast calls for the size of the already massive international supply chain industry to nearly double from $8.1 trillion in 2016 to $15.5 trillion by 20261. This expansion will be powered by the surging growth of consumer demand and eCommerce purchases. While eCommerce only represents 12% of all retail purchases2, this percentage is expected to expand dramatically over the next decade. According to Statistica, in the U.S. alone, retail eCommerce is expected to grow from $409 billion in 2017 to a staggering $638 billion by 20223. Globally, Statistica forecasts worldwide eCommerce to grow from $2.3 trillion in 2017 to nearly $5 trillion by 20214. These enormous numbers represent nothing less than enormous opportunities as this incredible growth will have to be supported by the logistics industry and 3PL warehouses. Seizing these opportunities will require 3PL warehouses to adopt a proactive mindset, take strategic risks, and build even stronger bonds with their supply chain partners and the customers they serve. But most of all, it will require 3PLs to build the type of warehousing operations that will enable them to deliver effectively on all of their promises. To help navigate this increasing opportunity for growth, 3PL Central will share our Practical Guide to Growing Your 3PL Warehouse to give you the knowledge and tools required to be an award-winning partner to your customers, prospects, and partners. Any plan to grow your warehouse must begin where your 3PL has the most control over the outcome: inside your own organization. Implementing successful warehouse operations can be a challenge when considering the dynamic changes within the 3PL industry that are already driving warehouses to minimize expenses and maximize productivity. But if your 3PL warehouse is to grow and offer best-in-class customer service, you will need to outshine your competition in all of these areas. Balancing efficient processes with an exceptional customer experience can be difficult in an environment that’s changing constantly. But at 3PL Central, it is our experience that most successful warehouses work to control change as opposed to letting change control them. To drive change, we recommend warehouses embrace a “growth mindset” instilled in your culture, operational processes, hiring standards, training and education efforts, internal communications, and reward structures. Learn more about the six steps your warehouse needs to take in order to begin increasing profitability with a "growth-minded" culture. Bonus: download printable posters to keep your team aligned on growth-focused goals. Most importantly, it should be injected and developed inside of the minds of the people who serve your business and customers every day: your warehouse staff. For actionable and strategic insights you can use to immediately begin to build a culture focused around growth, download the full guide. The key to exponential growth is building a reputation for delivering a superior customer experience. Research has shown that a corporate culture that produces happy, engaged, and fully committed employees leads to higher levels of retention, performance, and customer satisfaction5. Once a 3PL’s growth mindset has been established along with metrics to monitor change, it’s time to seek new business. Your customers and partners already understand your value, are familiar with your staff, offerings, and the level of quality your warehouse provides. Customers and partners who are happy with your performance will be far more willing to expand their current relationship with your warehouse. 3PLs can also position themselves as the stakeholder to handling new requirements for providing and capturing accurate, real-time data about every order, shipment, and delivery to consumers worldwide. Sitting at the very epicenter of the supply chain, 3PLs are the nexus through which all this information flows. With the ability to record and manage all activity inside the physical warehouse, 3PLs are in the ideal position to use their warehouse management systems (WMS) as the “one source of truth” for customers and partners alike. This critical role will increase dramatically in the next few years as the demand to capture, analyze, and forecast with data continues to grow. Serving as the command post for customers and partners makes 3PL warehouses the ideal collaborative partner and most critical player in the supply chain eco-system. This unique position can provide proactive, growth-minded 3PLs the unique opportunity to upgrade their status from a disposable commodity to an irreplaceable long-term partner. In preparation for expanding existing relationships, 3PL warehouses will require a comprehensive action plan. The rapidly growing logistics and eCommerce industries will offer significant opportunities for the foreseeable future. Remember that your efforts to expand your relationships with the right partners will provide benefits to all involved. Two major developments have fundamentally altered the 3PL warehousing industry - the growth of the eCommerce industry and mobile phone usage for consumers. Combined, they place incredible pressure on all retailers to provide omni-channel shopping options. This new empowered consumer now expects to have a near-infinite number of product choices to buy any time from anywhere. In addition, custom-delivery to any location they want is becoming more readily available. While 3PLs always knew the value of their customers and the importance of their experience, consumers today now realize they are king. This new found awareness to their importance means they will accept nothing less than a superior customer experience at every buying touchpoint. As such, any 3PL looking to grow exponentially must ensure that providing top level experience is a number one priority. Customers’ demand for a customizable experience can be a challenge for warehouses, as many of these touchpoints are not under their direct control. However, if 3PLs have built strong relationships with partners, customers, and service providers, they can have a significant impact on the final outcome. For more information, including what tactics you need to be employing at each stage of the customer journey, download the full guide. Whether a 3PL warehouse is managing their customer’s brand image, facilitating a delivery or handling a return, growth-minded 3PLs must understand that they are not just processing a consumer’s current order. But setting the stage for all future orders to come. Just like every other part of a 3PL’s business, internal processes must be built to anticipate, quickly scale, and flawlessly support any rapid expansion. And a warehouse must be able to do so with maximum cost-efficiency. In short, warehouse processes and operations must be built to provide peak levels of performance at all times, especially when a warehouse may have just taken on a new customer or if they are hit with an unexpected surge in demand. The 2018 Holiday season is set to be another record-breaking year for 3PLs. Hit the ground running with our 2018 Holiday Season Forecast For 3PL Warehouses. Growth-minded 3PLs will need to consider the purchase of new technology as well as the addition of new value-adding partnerships to thrive in the evolving world of logistics. The challenge for all warehouses is the same: How can you be sure to get all of this right? Present-day growth-minded 3PLs will not be able to expand with outdated software. However, warehouses certainly don’t want to overspend and buy more than they need or waste money on technologies that will become obsolete within a few years. Choosing the right partners will be tricky, as well. Your 3PL must ensure that any potential partners share your values, can integrate seamlessly with your WMS, and will handle your customer’s brands are carefully as you do. 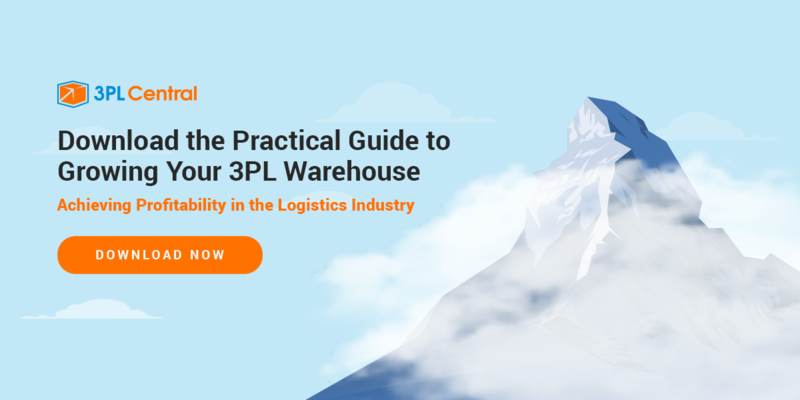 3PL warehouses are firmly positioned to achieve maximum profitability in today’s logistics industry when people, process, and operations are aligned within your warehouse. A warehouse’s ability to examine growth potential, communicate well with customers and partners, and optimize workflows and technology will empower 3PLs to continue to play their pivotal role within the logistics community. 3PL Central understands the requirements, future needs, and desires of over a thousand warehouses. If you’re interested in learning how we can help drive change for your warehouse, please contact us for a demo of our award-winning, cloud-based warehouse management system (WMS). 3PL Warehouse Manager allows warehouses to connect with integration partners, offers intelligent workflows, enhanced productivity, and the flexibility needed for today’s growing 3PLs.